BMW is making its German factories more environmentally friendly. During the building of a new assembly facility to make differentials at the carmaker´s Dingolfing plant, assembly and logistical processes are being optimized. 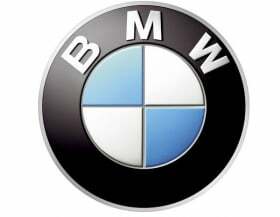 In this way, BMW plans to lower production costs for every differential unit by about 20 percent when the facility begins operation in mid-2011. Thanks to new technology, the automaker expects the building's energy usage to be 25 percent below the German government's recommended standard. The use of advanced laser technology is expected to cut energy needs in the welding process by more than 20 percent. Due to improved logistics, more than 1,000km of truck transport will be eliminated daily, BMW said. The company is also turning to environmentally friendly measures in the Landshut factory. A so-called “snow cleaning” process is being used to clean plastic components in the exterior production area. The parts are no longer cleaned in a wash facility before paint is applied. Instead, the parts are cleaned with CO2 “snow” -- CO2 in liquid form -- cooled in advance to a very low temperature. In this way, BMW plans to introduce energy savings in the six-figure range.